The design of the Paperchain series is based on origami paper links which children often make as jewelry. The design of the Paperchain series is based on origami paper links which children often make as jewelry. The subtle curves in the design, coupled with the soft texture create a beautiful, classic design. 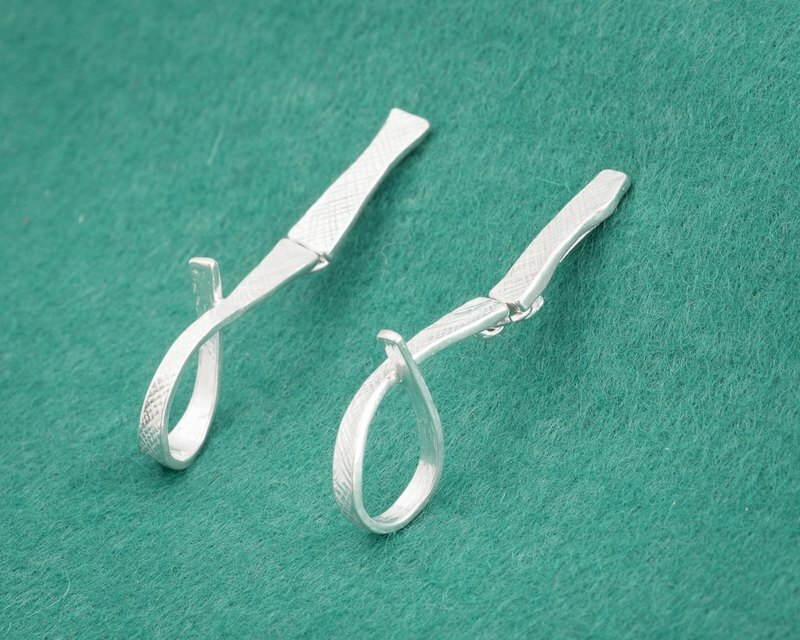 These earrings (pierce type) are each made up of two parts. The lower part is attached by a small link, making them swing with movement. Length: approximately 40mm Material: Britannia Silver 958 To upgrade to 23K Gold Vermeil (23K Gold Plated Britannia Silver 958), please purchase this option in addition: https://en.pinkoi.com/product/823VVVQJ?category=2 For clip-on earrings, please purchase this option in addition: https://en.pinkoi.com/product/1ZS8zDmp?category=2 This piece is crafted in Britannia Silver 958, a high purity silver which retains its bright color (unlike sterling silver which tarnishes easily). We also provide a small zip lock bag in which we recommend to store your piece/s to keep them away from the air. This will help to keep them bright for a long time. As we make each piece one-by-one, if we do not have the piece in stock immediately, we will contact you. Our handmade production process takes approximately one week.